Integral Coaching offers intensive and in depth executive coaching and development that enhances individual and organisational performance. 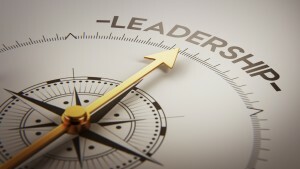 Transforming your leadership mindset & behaviour – developing ways of thinking that enable leaders to have the capacity to deal with the complexity and challenges of todays environment and economy and to create constructive and aligned behaviours that support personal and organisational effectiveness. Skill development – developing new skills such as building trust, deep listening, coaching and developing followers that allow effective execution. Being a future fit leader – Learning how to continually learn, adapt and evolve through the art of self-reflection to sure you continue to develop yourself as a leader as you enter new roles, teams, organisations and different challenges and stages in your career. Time – Between 6 – 12 coaching sessions of 1.5hrs. Setting Up – We can include third party interviews with key stakeholders of the coachee, 360 degree feedback and a strengths finder. The initial session – A meeting between key stakeholders, the coachee and coach, setting the coaching strategy, defining the challenges and setting objectives and how progress will be fed back. The Coaching – Ongoing sessions that work with the coachee to develop their ways of thinking and behavior, skills and self reflection in line with the stated objectives. Progress Checks – A mid point and end point meeting with key stakeholders to collect feedback and discuss progress.